The most reliable platform for presenting the best of Nigeria – positive diplomacy and foreign relations news; diplomatic strategy; international development jobs; policy review; value inspired role models; good music, humour, art and culture; history, etc. 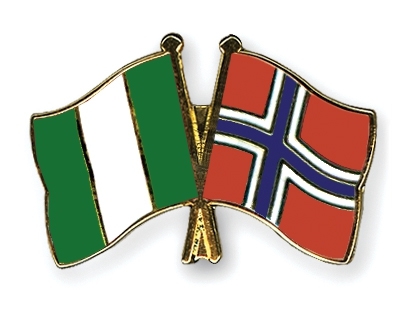 The Norwegian Ambassador to Nigeria, Jen-Peter Kjemprud, says trade volume between Nigeria and Norway is between 30 and 40 billion dollars. According to him, the relationship between Nigeria and Norway dated back to 1880s. He therefore pledged to strengthen the relationship by attracting more investors from Norway to explore available opportunities in Nigeria. “Norway started to export fish to Nigeria in the 1880s and 1890; the relationship was cordial until independent. However, from the last ten or 20 years, it has grown substantially both politically and economically. We now have more than 50 and 60 Norwegian companies active in Nigerian oil and gas sector, sub-sea, onshore, renewable energy and some of which are expanding. He also said the embassy was working closely with the Nigeria-Norwegian Chamber of Commerce to promote and expand businesses between the two countries, stating that there are more opportunities for Nigerians to do business in Norway. 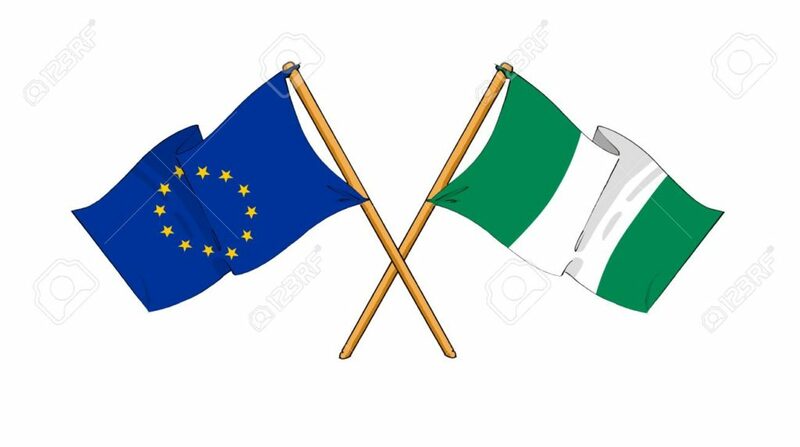 The Head of EU delegation to Nigeria and ECOWAS, Mr. Ketil Karlsen has said that the bilateral trade volume between Nigeria and the European Union reached €25.3 billion in 2017. Karlsen, while briefing newsmen in Abuja on the forthcoming Europe Day May 9, said this figure was an increase of 27% from that of 2016, which stood at €19.9 billion. Chinedu Moghalu has been appointed Head, Communications & Advocacy for the Africa Risk Capacity; United Nations World Food Programme‎. The African Risk Capacity (ARC) is a specialised Agency of the African Union that provides African sovereigns with capacity building services for early warning, contingency planning and risk finance. The agency ‎is also a specialised Agency of the African Union that provides African sovereigns with capacity building services for early warning, contingency planning and risk finance towards protecting the livelihoods of their vulnerable citizens against the impact of natural disasters through home-grown, innovative, cost-effective, timely and sustainable solutions. Muoghalu in his new position, will be leading efforts to ensure that the work of ARC in responding to the challenges of climate change and natural disaster risk management is strategically communicated to the Member States and the international community in a way that secures commitment and boosts resource mobilization. Chinedu Moghalu holds a M.Sc. degree in Communications for Development, and other degrees in Political Science, and Law from University of Nigeria, Nsukka and University of Lagos, in Nigeria. Moghalu, at various times, served as the Regional Head of Nigerian Export-Import Bank (NEXIM) for the Southeast and Delta states in Nigeria; as well the Head of the Corporate Communication Division at its headquarters in Abuja. Before joining NEXIM Bank, Moghalu had more than 10 years career with various United Nations agencies, including the ILO and the Global Fund for AIDS, Tuberculosis and Malaria. Moghalu is a member of the Nigerian Bar Association, International Bar Association, International Public Relations Association (IPRA), and sits on the Board of the Chigari Foundation. Bola Adesola, Chief Executive Officer and Managing Director of Standard Chartered Bank Nigeria, has been appointed by the UN Secretary-General Antonio Guterres to serve as Vice-Chair of the Board of the UN Global Compact. Also appointed to serve as Vice-Chair of this Board with Bola Adesola is Mr. Paul Polman of the Netherlands, Chief Executive Officer of Unilever. Global Compact is a voluntary initiative based on Chief Executive Officers commitments to implement universal sustainability principles and to take steps to support UN goals. “Ms Adesola and Mr. Polman succeed out-going United Nations Global Compact Board Vice-Chair, Sir Mark Moody-Stuart, Former Chairman of Royal Dutch/Shell Group of Companies and of Anglo American PLC. The Secretary-General extends his great appreciation to Sir Mark for serving in the position for the past 10 years and shepherding the United Nations Global Compact into a new era. They would bring to the position a wealth of experience in the private sector, in the corporate sustainability space and specifically with the United Nations Global Compact itself. Adesola had served as Chief Executive Officer and Managing Director of Standard Chartered Bank Nigeria Ltd since 2011. She has over 25 years of banking experience, including at First Bank of Nigeria and at Citibank. Adesola holds degrees from Harvard Business School and Lagos Business School, as well as a law degree from the University of Buckingham. Polman had served as Chief Executive Officer of Unilever since 2009. Prior to joining Unilever, he worked at Nestlé S.A., and at Proctor and Gamble, where he spent 26 years. Polman holds degrees from the University of Groningen and from the University of Cincinnati. Both Adesola and Polman had served on the Board of the United Nations Global Compact previously. Ambassador Peters Emuze has been elected to the United Nations (UN) Committee on Economic, Social and Cultural Rights (CESCR) to represent the African continent for a four-year tenure, in a keenly-contested election held at the UN Headquarters, New York. CESCR is the body of 18 independent experts that monitors countries’ compliance with the International Covenant on Economic, Social and Cultural Rights of citizens by its States parties. The committee was established under the UN Economic and Social Council (ECOSOC) Resolution 1985/17 of May 28, 1985, to carry out the monitoring functions assigned to the UN ECOSOC. Peters Emuze, who entered the race barely two months to the election, beat candidates of six other countries; Algeria, Sudan, Niger, Uganda, Cameroon and Mauritius, who had been campaigning for upward of one year. His victory, in securing the first of the two seats for Africa is seen as a ‘feather’ for Nigeria which would also improve Nigeria’s future “diplomatic leverage”. However, Cameroon withdrew at the last minute while Mauritius’ candidate defeated Algeria’s in a run-off to secure the second seat for Africa. Fielding candidates for CESCR would require the country’s permanent mission to the UN. In this instance, the Permanent Mission of Nigeria to the UN at New York and Geneva, in conjunction with all the 54 Nigerian missions in ECOSOC member states, coordinated the process and canvassed for votes for the position. Nigeria’s Ambassador/Permanent Representative to the UN, Prof. Tijjani Bande, personally wrote to all the 54-Member States of ECOSOC, seeking their support for Nigeria’s candidate. Nigeria’s Ambassador/Deputy Permanent Representative to the UN, Samson Itegboje, said it became impossible to get countries to step down for Nigeria, as all of them wanted to “go for broke”. “The victory has raised our profile on the international stage. I don’t think there are many countries that can pull such outing, two months to the election. We can call it a miracle but it was a result of hard work, strategy and good relations. “Nigeria long signed the treaty and that means Nigeria is ready to comply with various international human rights instruments as a responsible member of the international community. It is also fulfilling one of its foreign policy options. Nigeria is also in tune with the Universal Declaration of Human Rights Charter and the African Human Rights Charter. So, Nigeria cannot be aloof to these issues of human rights because they are contemporary, modern times. Peters Emuze, a retired career diplomat for 33 years, rose to become a Special Grade Director at the Ministry of Foreign Affairs and served as Head of Mission at Nigeria’s Permanent Mission in Geneva. Emuze had also served in Nigeria’s diplomatic missions in Zambia, the Netherlands, Italy, Hong Kong, and proficient in human rights issues. He was President, Conference on Disarmament and Coordinator of the African Group of Ambassadors on World Intellectual Property Organisation (WIPO), leading to the establishment of WIPO offices in Nigeria and Algeria. If you have you traveled by road in Nigeria in 2018, kindly share with us your experience. Please click/read on details of the Guide.